As improvements in canning and bottling technology continue to excel, breweries can also look farther down the sales line into retail to make sure its beer is being sufficiently taken care of. More and more QA has been on the minds of many and establishing good practices has been paramount. Ten years ago Short’s Brewing wasn’t doing any package quality tests besides very basic sensory tests said Tyler Glaze, the brewery’s Director of Quality. Now the Bellaire, Michigan brewery performs a lot of package quality testing including rigorous microbiological, oxygen, CO2, and package abuse testing on packaged product. “We also test the packaging equipment itself for cleanliness after cleaning and before filling,” Glaze said. One of the first steps it took to ensure stability was to crank down on microbial contamination that would happen from time to time in the package and set up action limits and reaction steps if micro was detected in packaged beer. After that, Short’s dove deep into removing oxygen from its packages and the beer. “Oxygen is the enemy of packaged beer,” Glaze said. “It can undo all of the hard work that our brewers put in upstream of the packaging line in the cellar and the brewhouse. By replacing old equipment with new oxygen-hating bottling (in 2014) and canning equipment (in 2018), we dropped the level of oxygen in our packages by 15 times. Can seal quality has dramatically improved for Short’s as well. If you can’t measure it, you can’t improve it, said AleSmith Quality Analyst Lead Peter Cronin. “We’ve improved a lot in the last few years by getting a dissolved oxygen meter (Hach Orbisphere) and a dual DO/CO2 meter (Anton-Paar CBox QC),” he said. The CBox has allowed AleSmith to always meet the right CO2 leading to a more efficient packaging since beer always fills and FOBs the bottles and cans consistently. AleSmith sets its DO reaction limit at 50 parts per billion. “Any time something tests above that limit, we stop packaging, determine why, and remedy the issue,” Cronin said. 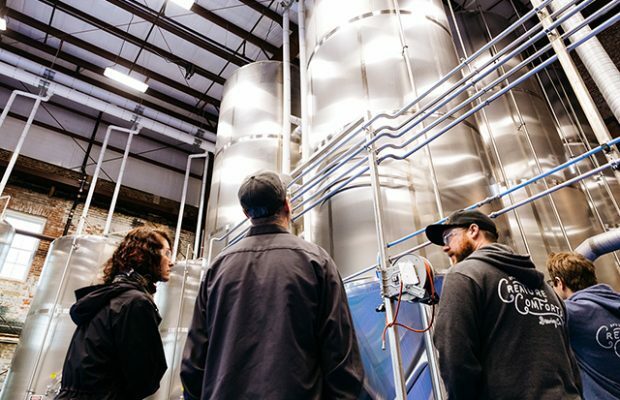 “We also added an inline carbonation system (Corosys CCS) not too long ago that carbonates our beer right out of the centrifuge on its way to the bright tank. We no longer have to wait for carbonating a 255-barrel bright tank with a fussy carb stone. Cronin also noted that there are plenty of products out there now that AleSmith has tested for shelf stability. While Creature Comforts has been committed to producing high-quality beer from the beginning, Adam Beauchamp said the Athens, Georgia brewery has been able to reinvest a significant amount of time and resources into its quality program over the past few years. He said the brewery has been able to developed a serious formal sensory program; implement some sophisticated analytical techniques; added micro sampling across all processes; and it amped up packaging checks. Specifically for stability, Creature Comforts has invested in high-quality packaging equipment that can deliver consistently low oxygen levels in the package. “We monitor our oxygen in package throughout each run and destroy any package that does not meet our oxygen specifications,” Beauchamp said. “All of our beer is stored and shipped cold. Our distributor stores all the product cold as well and only keeps about a week’s worth of inventory at any given time. Shelf stability testing is a must for a brewery AleSmith’s size, with its beer in 28 states and eight countries. To ensure shelf stability of its international shipments, Cronin said they add a temperature-sensitive tag. “Our international distributors know to check the tag when they are unloading the shipment to confirm that the beer has not been warm for a long period of time,” he said. Back home, Cronin will save a case of a product and split the bottles or cans into three temperature zones – cold, room temperature, and warm. He pointed out that many liquor stores keep AleSmith’s beer at room temp and there are those cases where someone leaves a beer in their trunk and forgets about it. “A brewery must know how its beer tastes in the best and worst-case scenarios,” he said. Even working in Quality, Cronin understands that in-house inventory does get old. North Coast Brewing’s laboratory personnel perform a battery of tests on its packaged products. 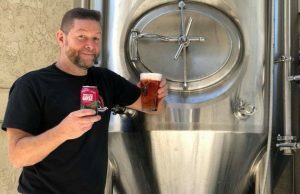 In addition to microbiological plating, North Coast Brewmaster Chuck Martins said the lab will check bitterness level and color to be sure that the beer in the bottle is within specification. “On the line, we do scheduled spot-checks of headspace air and dissolved oxygen to ensure maximum shelf stability,” he said. The North Coast quality program has expanded as the brewery has grown. That meant adding a UV spectrophotometer to replace an old visible spectrum unit and, along with some ancillary equipment, it allowed Martins and his team to check bitterness. A headspace tester was also set up on the bottling line. 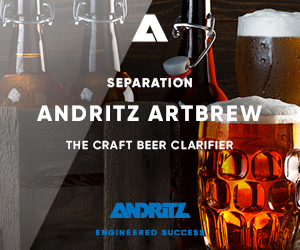 Later, it purchased instruments for measuring dissolved oxygen that are employed in various stages of production but primarily during beer clarification and packaging. “Because of our barrel-aging program, and the inherent potential for biological contamination of clean beer resting in wood barrels, we have added polymerase chain reaction testing equipment to identify potential contamination almost immediately,” Martins said. Marielle Basseri said Ecliptic Brewing has improved it’s QA in a couple ways. A year and a half ago the Portland, Oregon brewery installed a canning line with a DO meter. Basseri, who is the brewery’s QA Technician said the facility also started a sensory panel. A second check is a beer library. “We keep a record of beers, that way if anything comes back spoiled we have a record,” she said. 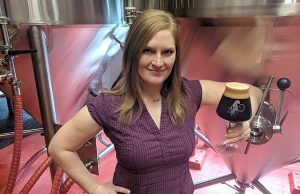 Kendal Glaze, who is the Customer Service Administrative Assistant at Short’s said when a customer reaches out to the brewery with a complaint, the team starts by collecting information from them, including what beer, the date it was packaged, and where they purchased it from. In certain cases, Short’s will collect a bottle or can to get back to the Quality Team for further testing. “We offer reimbursement to any customer who is unsatisfied,” Glaze said. Immediately after a complaint is received, Short’s will pull packaging from its archive samples to test immediately. “This allows us to compare properly stored product to the customer’s product, once their sample is received,” she said. “If we hear of any out-of-date beer in the field, we immediately contact our sales team or distribution partners to retrieve the product off the shelf and replace it with fresh, tasty beer. 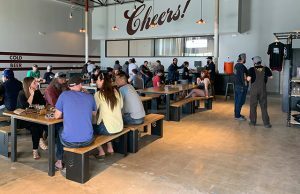 When customers of Rahr & Sons Brewing have issues with a product in the market, they are invited to email through the website any questions or concerns, in which the head of the quality department responds accordingly, said Director of QA/QC, Nick Bigham. “The customer service techniques were developed by practice and ensuring the customer the quality of our product is at the highest of importance to us and we are doing everything we can so that the issues do not happen again,” he said. Martins said that North Coast Brewing has a solid track record for responding to questions and concerns from customers. 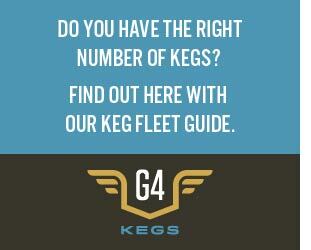 The brewery’s website has a contact page which makes it easy for people to get in touch. On the occasion that the contact reports a quality issue, they collect as much information from the customer as they can provide, then investigate it from their end to find an answer or explanation for the customer’s issue. When appropriate, North Coast will arrange to replace the affected product. “This approach typically leaves our customer very satisfied,” Martins said.